The secret of well shaped, fully developed huge arms can be yours. Throughout history the most popular muscles to be developed are those of the arms. Therefore, it isn’t any wonder that there exists a very large demand for proper instruction on the development of this body part. Vince Gironda once again fulfills this demand with the most up-to-date information on the subject of arm development to be found anywhere today. 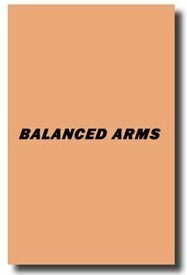 Hi Ron & Crew, I just wanted to thank you for sending me the Balanced Arm Course. I must say it is the toughest arm workout I have done but the most satisfying. It really pumps up your arms many days after your workout. Vince has also included some nutritional tips. My brother wimped out once he saw what has to be done in the course. Even though he is a bodybuilder himself. Although he has finally agreed to test it himself once he saw the pump I got from this course. I don’t wanna let the cat out of the bag but if you are looking for bigger arms then I suggest you try it. I am hoping to get more courses in the near future and testing them. Thanks.